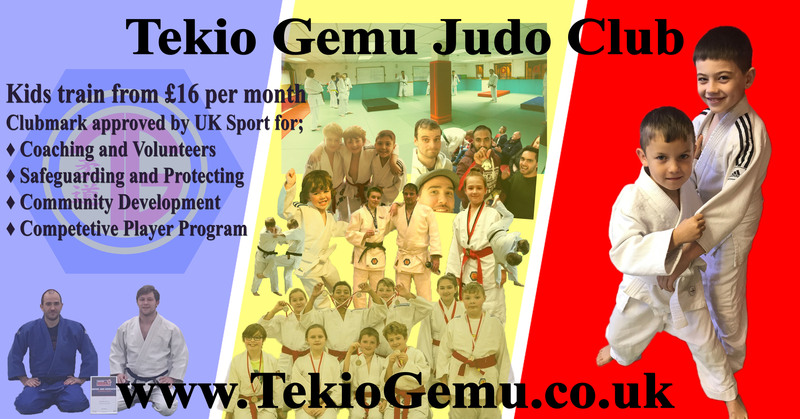 Tekio Gemu Judo club is a community focused and family friendly Martial Arts/Judo club based on Halesowen street, positioned conveniently close to Halesowen and Blackheath. Tekio Gemu Judo club is also one of only 30 Judo clubs in the UK to hold Clubmark status as awarded by UK Sport and the British Judo association out of over 900 Judo clubs in the UK. There is ample street parking and the Iceland car park behind the venue is free after 18:00. First lesson is free and we have spare Judo tops to borrow. Just wear sports/tracksuit bottoms (drawstring is preferable) and a plain t-shirt (essential for girls/women) and either bring a drink or get one from the club. Our full price list paid by standing order is broken down below. Our drop in mat fees are £5 for ages 16 and under (or in full time education) and £6 for ages 17 and above until standing orders are arranged which works out less than £4 per class as well as further discounts for regular participants and families of three or more. For example an individual training twice a week pays less than £3.25 per class. Please ask for more information. * Large discounts are available for families of 3 or more! We also recommend adding yourself to the public Facebook group found at www.Facebook.com/groups/TGJudo and our policy document can be found here ‘Tekio Gemu Policy Handbook‘. During non Sandwell and Dudley school term times Monday and Thursday classes work on a revised timetable which is 18:00 for ages 5-10 as normal and 19:00 – 21:00 for all ages 11+ combining the later two mats. Judo is a combat sport derived from the Martial Art of Jujitsu and concentrates on grappling, throws, submissions and immobilising your opponent. Judo is one of the few martial arts to feature in the Olympic games and is widely taught in Schools and at universities. Although taught predominantly as a sport, Judo is an effective method of self defence due to the initiative and transferable skills students gain. For information on Martial Arts or Dance themed childrens parties at TG Judo club please click here!